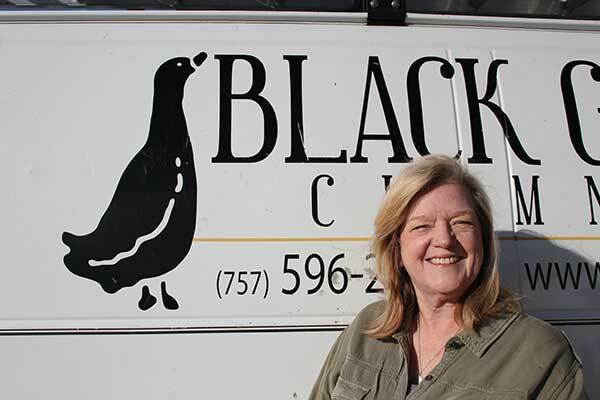 Patty has been with Black Goose since 2008. She is a native of Newport News therefore she is very familiar with the face of the peninsula. Patty lives in Newport News with her husband, Dave. She has three grown children and two grandchildren who are the light of Lala’s life. 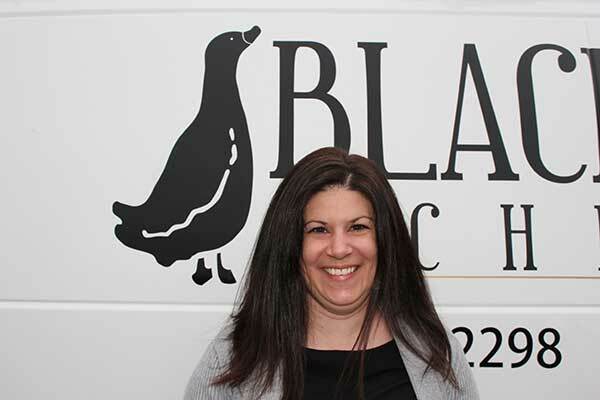 Kristin has been with Black Goose since January of 2015. She grew up in Sterling, Virginia and after graduating from CNU, decided to make the peninsula her home. She and her sweet son, Blake, live in Yorktown. 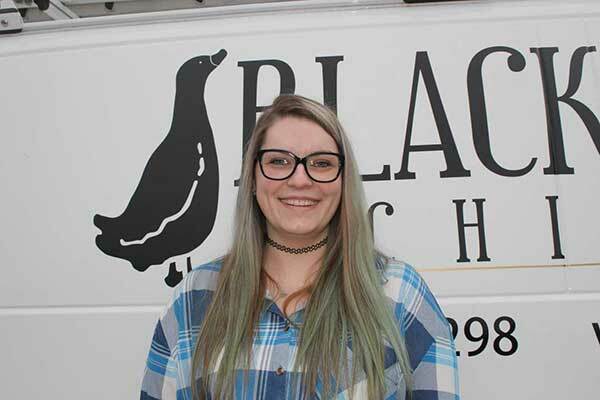 Cara recently joined our team in 2017. She is a Maryland native, with Virginia roots. She is living in Newport News while finishing up her Bachelor’s degree online at Arizona State University. Tim joined our team in 2017. He was first certified through the Chimney Safety Institute in 1991, and has received his OSHA 30 card in 2017, Tim is also a CSIA Certified Dryer Exhaust Technician as of February of 2018, he passed his NFI Gas certification as of April 2018. He is a New England native, but has called Virginia his home for over 20 years. He has two beautiful daughters, Ashli and Brenna, who are the loves of his life. 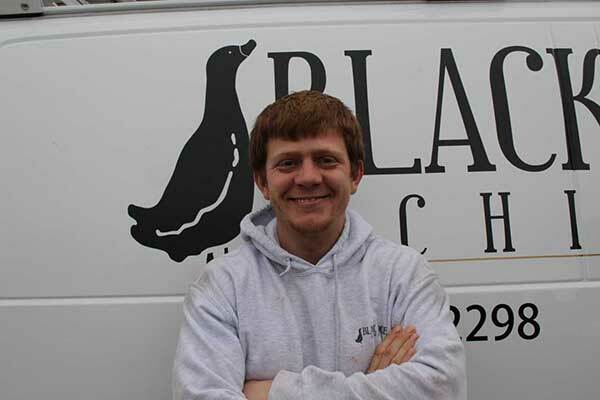 Sergey has been part of our team since 2011. 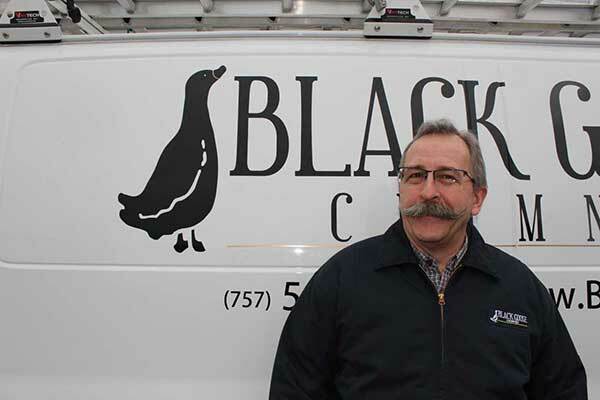 He became a CSIA Certified Dryer Exhaust Technician in October 2016 and became CSIA certified in chimney sweeping in 2018. He is originally from Odessa, Ukraine, the city of laughs. Since working here he has had the honor to be part of multiple large projects. He lives in Newport News with his brother Ian. 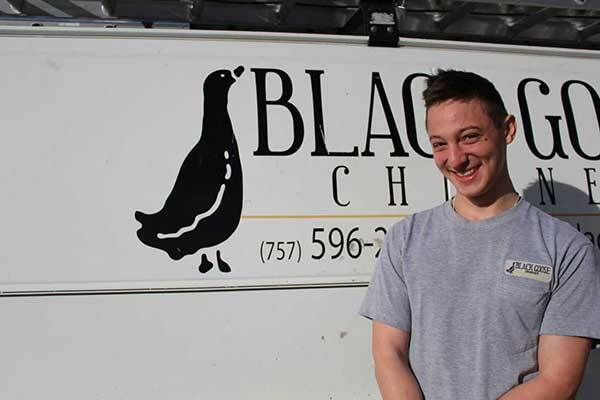 Remy started at Black Goose in 2016. In his spare time he enjoys listening to loud music, reading, cooking and thumping on his bass guitar. It’s been said that Remy sweeps a mean chimney! 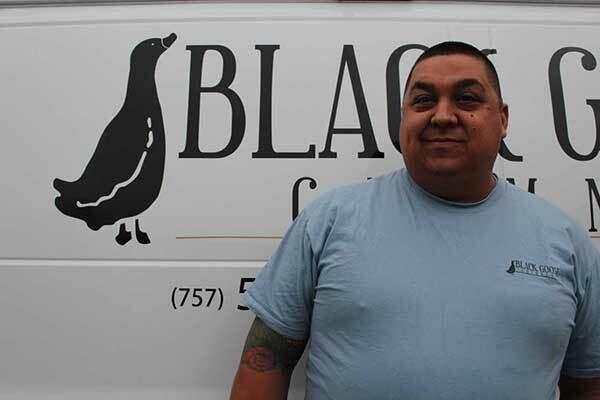 Eric started at Black Goose in 2017. He is from Smithfield, but moved to Newport News to be closer to his school, Thomas Nelson Community College. 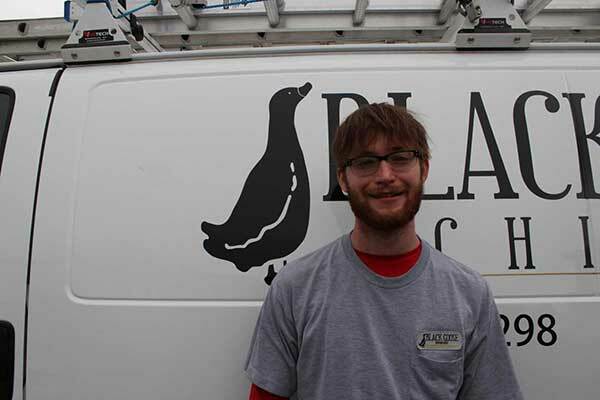 He is currently finishing up his second year at TNCC. Eric trying to get his engineering degree, while absorbing all he can about this trade. 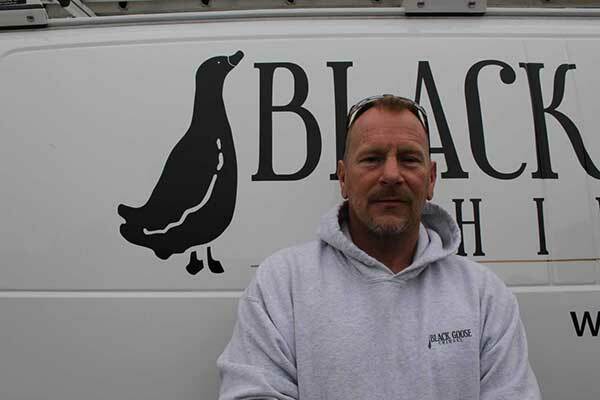 John has been with Black Goose since 2009. 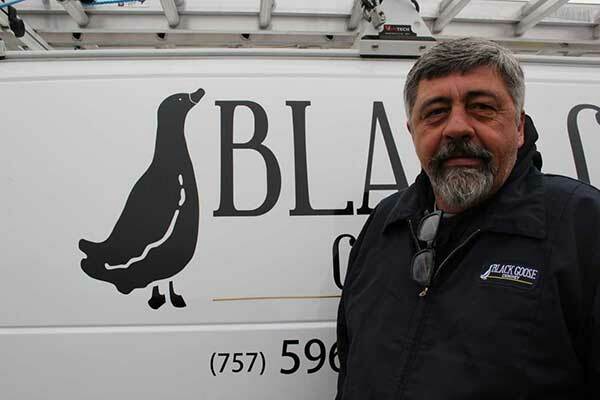 He was first certified through the Chimney Safety Institute in 2010. He is retired Army. He is originally from Newton, Iowa. He currently lives in Newport News with his wife Shirley. He has two grown children, and five amazing grandchildren!